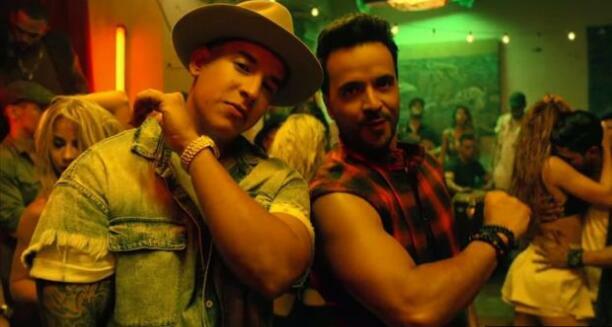 Luis Fonsi's Despacito has become the most-streamed song of all time, just six months after it was released. The hit single has been played 4.6 billion times across all streaming services, overtaking Justin Bieber's Sorry, which previously held the title. 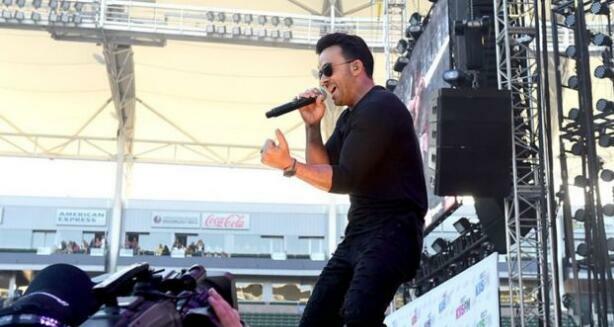 "What's happened with this song is just insane," said Fonsi, who hails from Puerto Rico and sings in Spanish. "I don't want to use the word accident because I was trying to write a hit, but I didn't plan for it to cross over. "I just wanted to make people dance." The 39-year-old said the global success of his song - which has reached number one in 35 countries, including the UK - gave him hope in the current political climate. "I come from Puerto Rico and I live in Miami. We're living in an interesting time right now when people want to divide us. They want to build walls. "And for a song to bring people and cultures together, that's what makes me proud." Despacito is a sun-bleached slice of sensual reggaeton. The title translates as "slowly", referring to the speed of Fonsi's seduction technique. It hit number one around Latin America when it was released in January, but only caught fire in the English-speaking world after Justin Bieber heard the song in a nightclub and asked to add a verse. His version of the song - known as Despacito (Remix) - has become a phenomenon on streaming services, most notably Spotify and Apple Music. It is already the fourth most-played video of all time on YouTube, where it is rapidly closing in on the top three, all of which are years old. The head of Universal Music Group, Sir Lucian Grainge, said the success of Despacito showed how streaming was democratising the music market. "Streaming has allowed a song with a different beat, from a different culture, in a different language, to become this juggernaut of success and pleasure," he told the BBC. "The industry has predominantly been English-speaking artists for the last 50 years [but] streaming will continue to open up music from Latin America artists globally. "Anything and everywhere is up for grabs." Of course, records will continue to be broken alongside the growth of streaming services - which give users access to a vast library of on-demand music for a monthly fee. In March, Spotify announced it had attracted 50 million subscribers. Apple Music, which is yet to reach its second birthday, has already attracted 27 million paying customers; while Google Play, Amazon Unlimited, Deezer and YouTube and dozens of others have contributed to Despacito's success. Critics might point out that the song would never have achieved such visibility without Bieber's contribution, but Sir Lucian was candid about how Universal had harnessed the star's brand power. 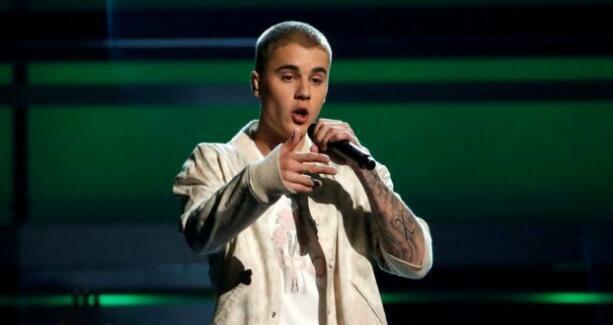 "Bringing in Justin Bieber meant that we could take something that was well on its way, and really take it to heights that would have been perceived as unimaginable when the song was written," he told the BBC. "We were at one level, and he helped us get to the next." Fonsi also paid tribute to Bieber's contribution, and reflected on his breathtaking success in a phone interview from Lisbon. Hi Luis! How does it feel to have the most-streamed song in history? It's been an incredible ride. Pretty much from the start it has just been crazy. Obviously it was a snowball effect. It started first with my more traditional market - the Latin American market. But we had an instant response. I got phone calls congratulating me from people who don't normally call. Is it a source of pride that Despacito is predominantly a Spanish-language song? Yeah, that's the beauty behind it. The original version, which I did just with Daddy Yankee, was in Spanish then four months later, Justin Bieber jumps in [and] adds a verse at the beginning in English. It was his choice to keep the chorus in Spanish - because we had an English lyric for it - but he wanted to stay true to the original version. Now I'm getting videos from different parts of the world, listening to people trying to nail the Spanish, trying to learn a bit of Spanish through the song. Yeah, you know, it's not his language. If he was saying he could speak Spanish and he couldn't, I'd be like, "Hey man". But I don't think he's ever come out and said he's a Spanish-speaker. He just wanted to do the song because he loved it. And I think you have to tip your hat to him, because he took the time to phonetically learn the chorus in Spanish. I know that that takes time [because] I've actually done the song in different languages myself. I've just done the song in Portuguese, and Portuguese is very similar to Spanish, but it was very hard for me to nail that version. And if you were to ask me to sing it now in Portuguese, I wouldn't have a clue where to start! So I think we just have to let it go. This is a question I've been asked a lot but, for some reason, I don't have the perfect answer for it. I think it's the sum of lots of little things. Obviously, it's a very catchy melody. The way the chorus starts "Des-Pa-Ci-To" is very easy to remember. And it's almost impossible not to move when you hear the track, even if you're not a dancer. And obviously you add Justin Bieber to that, and it brings another angle to all of this. But I wish I knew exactly what the secret was, so I could apply it to all my future songs! What is the strangest place you've heard it? It probably hasn't been anywhere too strange - but you walk into a restaurant, or you're at a traffic light and the car next to you is listening to it… It's just insane! I can't help but smile. Just today, I heard a Hebrew version of Despacito. Yesterday, I had some friends who were visiting Croatia and it was playing there. People are sending me all kinds of different versions. Maybe you should edit them together - like Pharrell did with Happy. Yeah, you know what? I'm compiling a bunch of footage and audio from all the different versions that have been done in all the different languages and I want to edit it together. It's so amazing. It makes me proud that the world's coming together. I come from Puerto Rico and I live in Miami. We're living in an interesting time right now when people want to divide us, they want to build walls, and for a song to bring people and cultures together, I think that's what makes me proud. Music has that power. It might sound cheesy but I do believe music brings us together. Did you see that Canadian PM Justin Trudeau put you on his summer playlist? Oh really, I didn't know that! That guy has good taste! How can you ever top something like this? Oh, you don't. This is a once-in-a-lifetime thing. I don't want to be a pessimist about it. I don't want to be negative about it. But my next song, I can't approach it thinking, "How do I beat Despacito?" Do you really expect to win the lottery twice? We just have to be grateful for what we've done and go forward. Luis Fonsi was speaking to BBC Music's Kev Geoghegan.